From the customer’s perspective, broadly all business ideas can be divided into 2 categories – the “Help Me” ideas and the “Show Me” ideas. Help Me Ideas: These are business ideas which aim to solve a current pain-point of the customer. The customer is feeling a pain and the idea’s goal is to solve the same. For example, TripAdvisor was a business idea which aimed to solve the customer pain of not having enough and trusted information to make decisions about travel. Show Me Ideas: These ideas, on the other hand, have a goal to enlighten customers about how things can also be done. The customer may be reasonably happy with the solution which is already available in the market. The Show Me Idea will show the customer a better way to do the same thing. For example, Uber would be a classical example which was able to provide a better customer experience using technology. Having said the above, all ideas of a particular category also have certain elements of the other category. 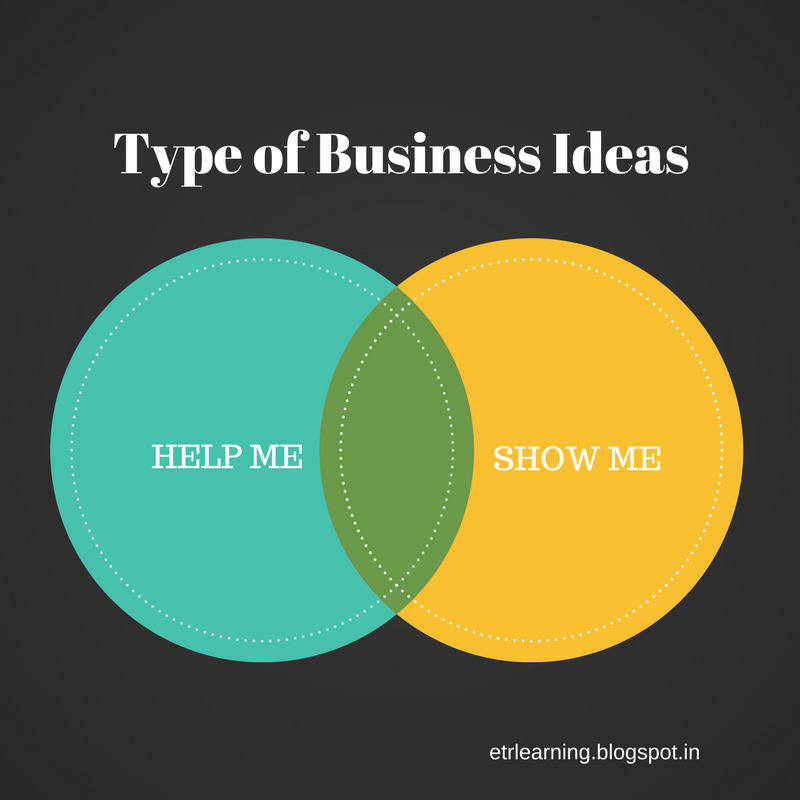 A Help Me Idea will also partly play the role of a Show Me Idea and vice versa.